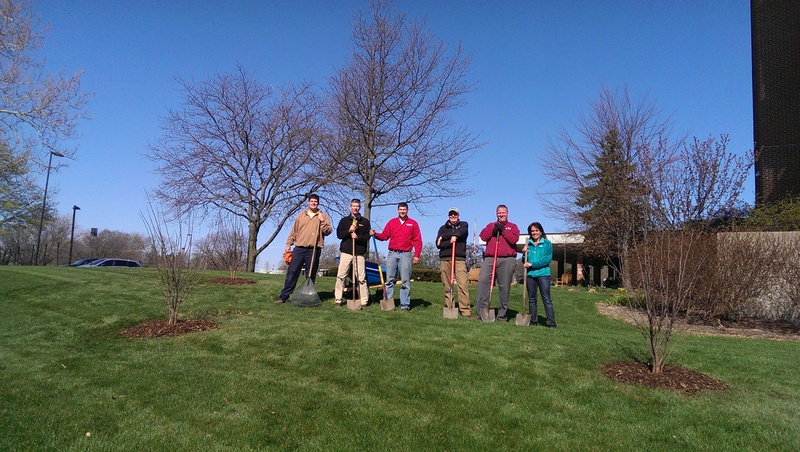 Dan from Monsma Landscape & Maintenance, pictured second from left, helping other AGRLP members at the Spectrum Health Fuller NE Campus with the 2015 Earth Day planting. Earth Day is an annual event, celebrated on April 22, on which day events worldwide are held to demonstrate support for environmental protection. It was first celebrated in 1970, and is now coordinated globally by the Earth Day Network, and celebrated in more than 192 countries each year. Look for the Redbud trees to be blooming soon!